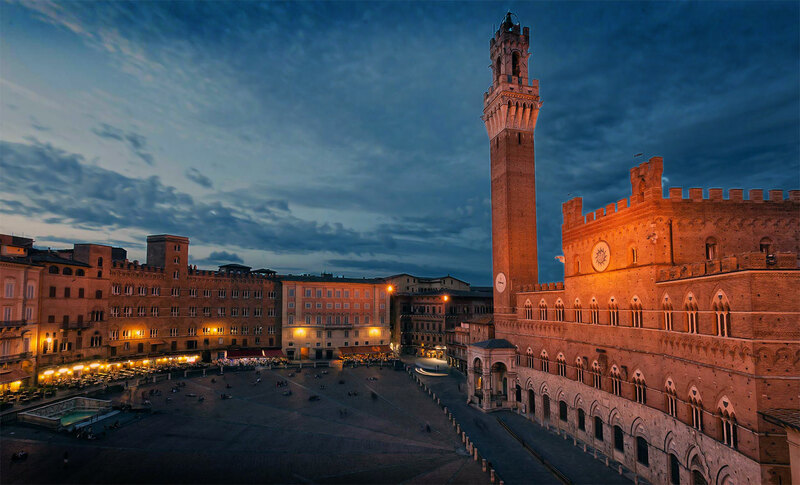 Siena always attracts many tourists for its wonderful monuments and its numerous masterpieces to visit in its museums. Some great artists were born in Siena and among them it is to remind Duccio di Boninsegna and Nicola Pisano, who worked on the greatest masterpiece in Siena: the Duomo. In the town you may admire many masterpieces such as the Duomo, set in the Piazza del Campo, Siena's red-bricked main square and the wonderful landscape of Facciatone, the Sala del Pellegrinaio in Santa Maria della Scala, the Piccolomini Library, the prestigiousAccademia Chigiana and the wide rooms in Fortezza medicea, that hides the rarest wines in Siena, in Tuscany and in the peninsula.